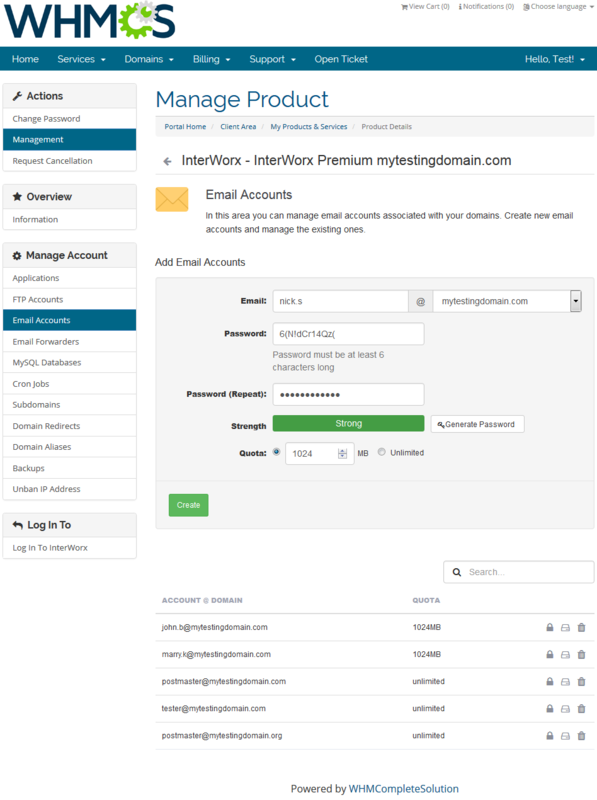 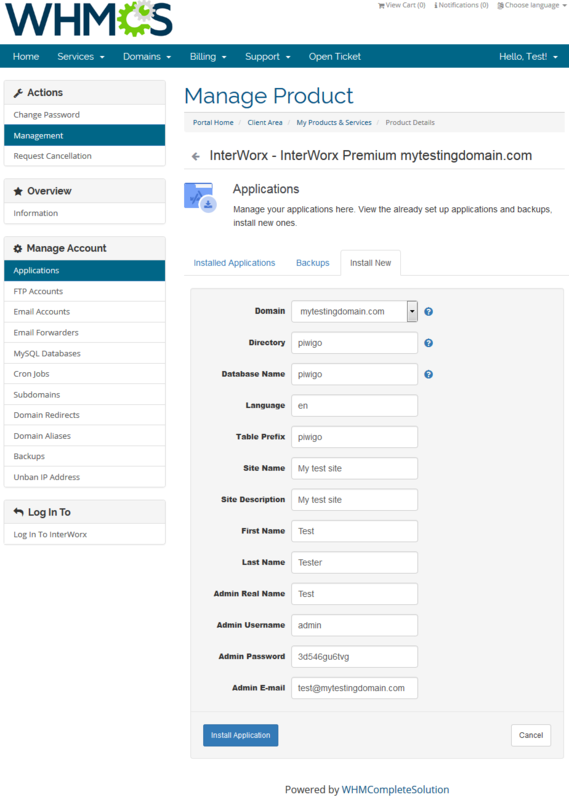 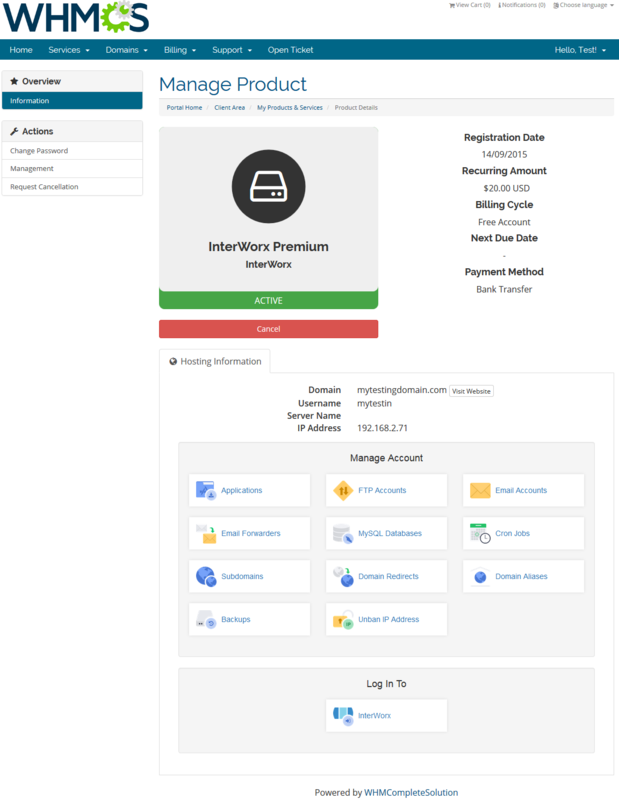 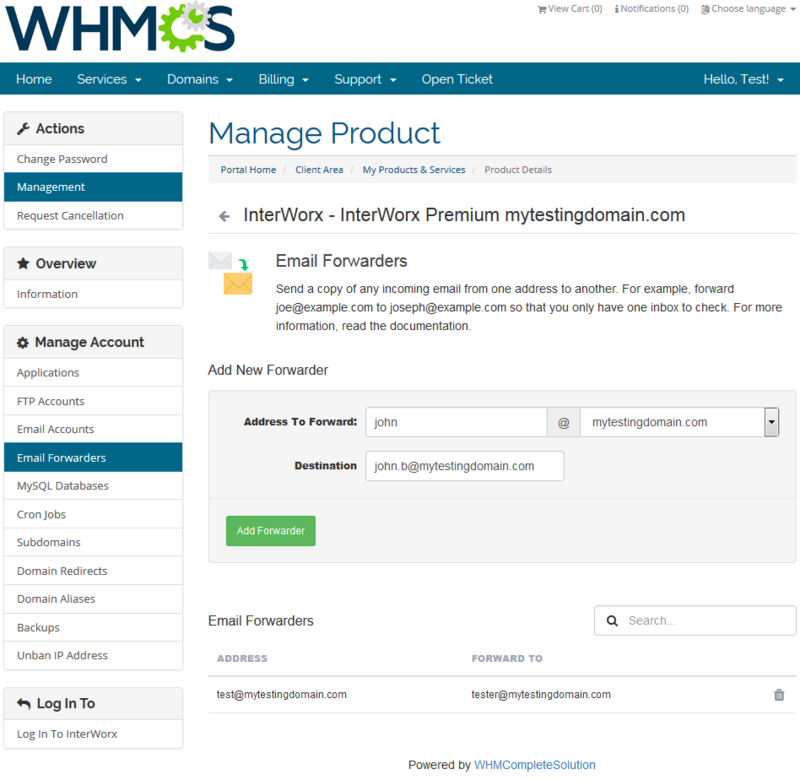 InterWorx Extended For WHMCS is a comprehensive solution which will allow you to introduce fully automated provisioning and management of web hosting accounts to your WHMCS. 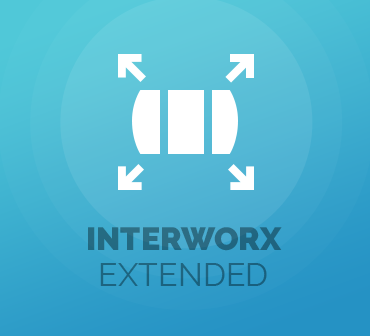 Its extensive functionality built of not only NodeWorx and SideWorx features but also plenty of extra components will obviate the necessity of direct logging in to InterWorx for good! 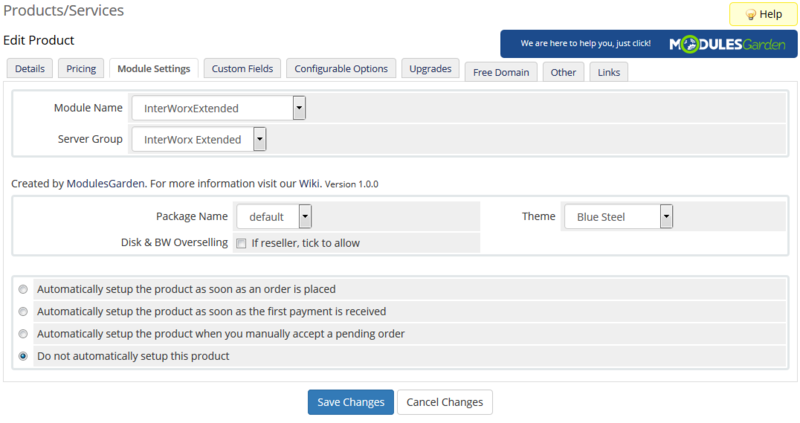 The module will endow your client area with everything your customers need to oversee the operations of their website, including a wide range of options for applications, FTP accounts, emails, cron jobs, domains and backups management. 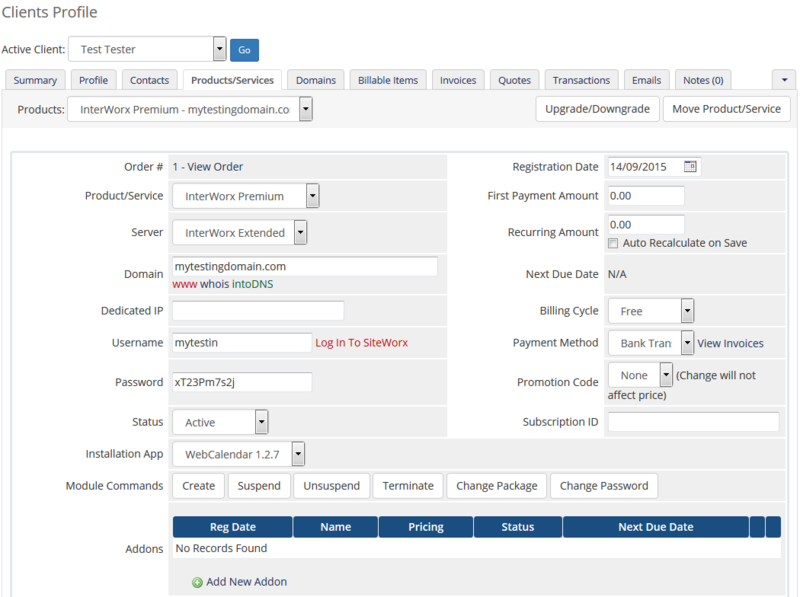 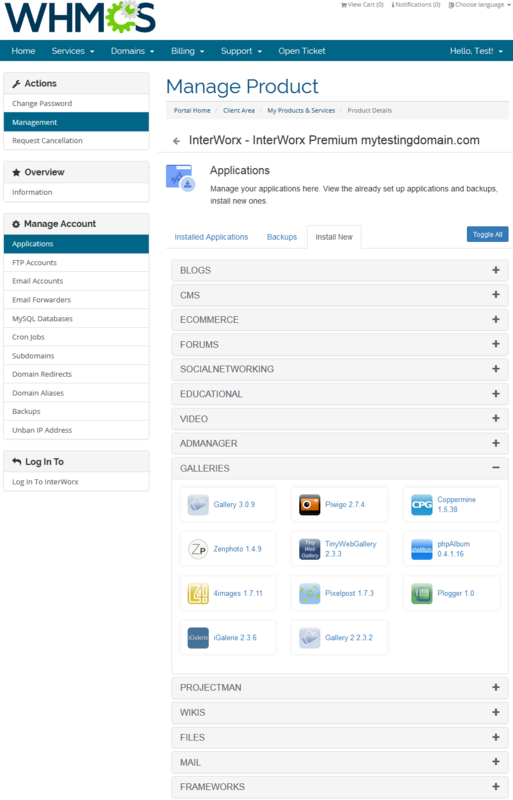 Another feature with great relevance is built-in Softaculous application installer with the help of which you will be able to pick the applications for your clients' use or even let them do this personally during the process of ordering. 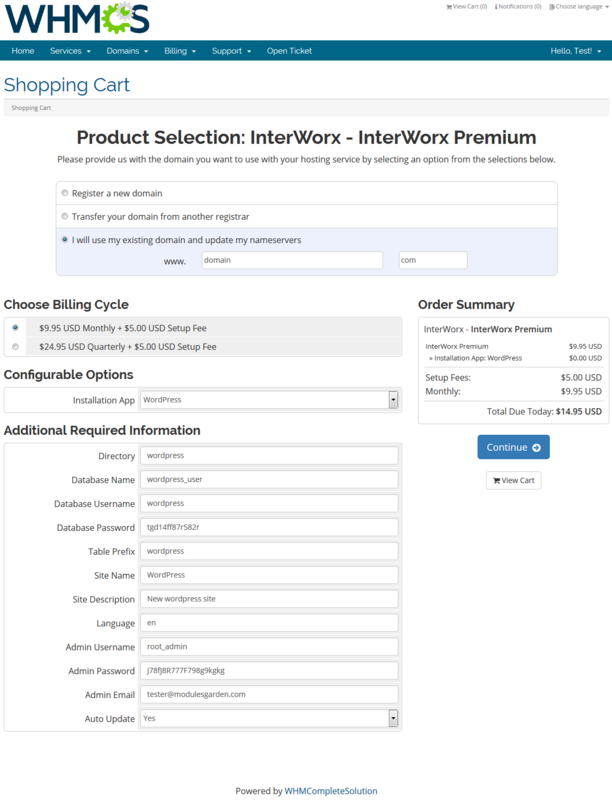 Additionally, you will be able to configure each product handily and determine which facilities are accessible to your clients. 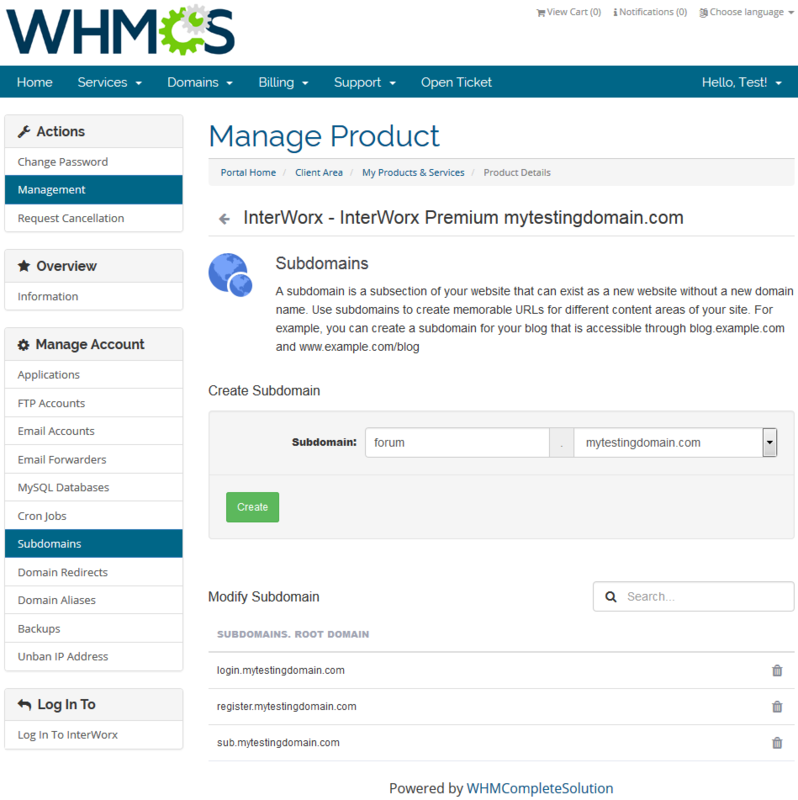 You no longer need to invest in multiple different tools to build up a complete web hosting management solution in your WHMCS. 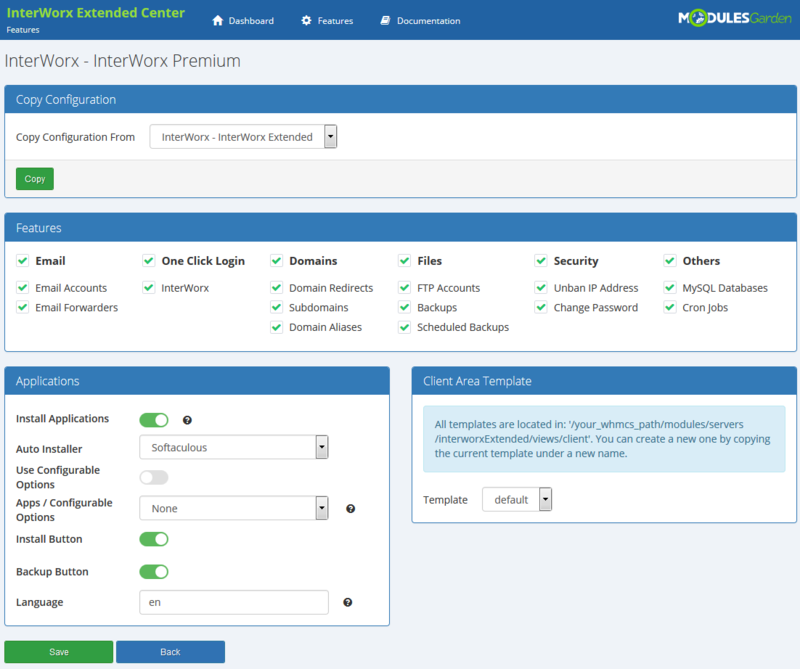 Order all-in-one InterWorx Extended For WHMCS and enhance your system with the best of what web hosting control panel has to offer! 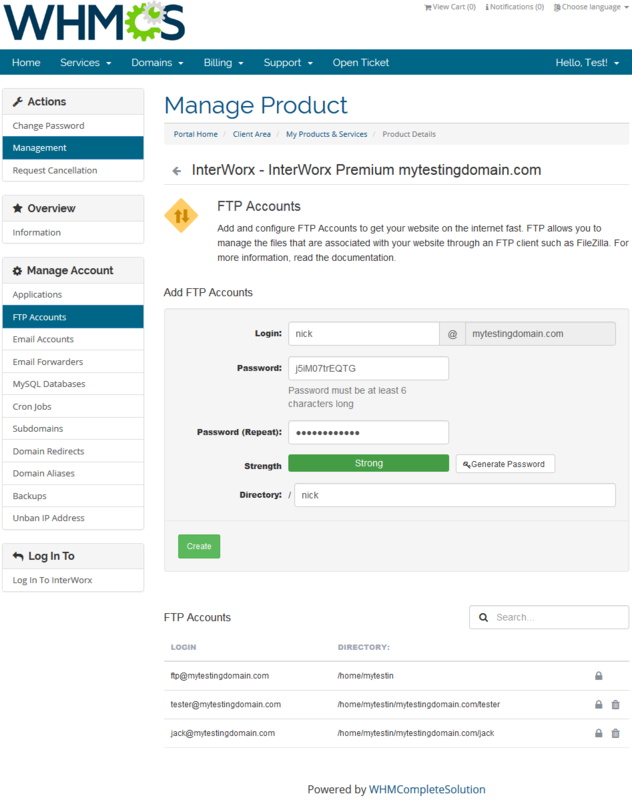 Adopt automatic solution for delivery and handling of SolidCP accounts plus allow the option to create FTP accounts, set up emails along with other facets in your client area.